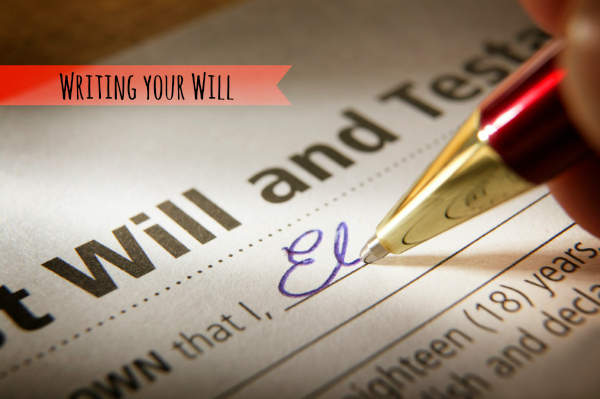 Writing your will – what you need to know! A couple of weeks ago, I was meeting up with some Bristol bloggers for drinks and a chat. We had a lovely evening and chatted about everything from blogging, cake bake sales and ways to fight nits, but we also talked about something much more serious: making a will. One of us was just in the process of writing her will, one of us had everything in place and two of us had thought about it, but not taken things any further. I left that night thinking “I really have to do this.” and then I forgot about it again. Well, I did until I read some shocking statistics that really got me thinking. Only 29% for all households have a will and only a mere 3% (!!!) of them are juridically correct, which does not only mean that the bereaved could face a long legal process after your death, but also that your wishes might not be considered at all. As a mum that really worried me. If you are a parent, the most important point for you will be to ensure that your children are well looked after in the case of your death. This will include making sure that they have a secure home, have money to finish college or go on to uni and most of all that they have a guardian who looks after their best interest. An informal will however will not secure that any of these things will be happen should you die. To ensure that your children are looked after and your estate is split up according to your wishes , it is crucial to seek legal advice. Professionals such as family solicitors like Breens solicitors can help you avoid plowing through pages of legal guide books and will support you writing your will. Obviously, solicitors do charge for their service, but with an expert behind you, you buy yourself peace of mind and security for your family. To save legal fees, you could check with your employer, if legal fees are covered by your employer benefits and also write a first draft of your will following these useful tips on writing your will. This is a featured article in cooperation with Breens solicitors. I really should do mine….it's complicated…plus i'm a little scared!